Business assets can need an independent indication of value for a variety of reasons that do not involve litigation. Our forensic accountancy team have prepared valuations for incorporations, reorganisations, probate and tax planning as well as in disputes and where values are needed for use in divorce. Valuation requires an excellent working knowledge of the strengths and weaknesses of enterprises, particularly owner-managed. It often needs careful consideration of tax implications and financing issues. 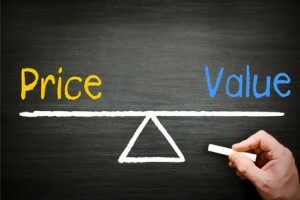 Our approach is to ensure that the valuation is prepared by someone who is independent of the normal accountants so that potential conflict of interest situations are minimised and that the report has sufficient detail to be understandable as to the justification many years later because of the increased likelihood of reference being required to old valuations. Our valuations have been supplied for discussion in mediation or sale negotiations, as expert determinations, as single joint expert reports as well as for submission to HMRC. They have involved many types and size of business including companies located outside of the UK. Valuation reports as an expert can either be for Court, nowadays more likely as a single joint expert (SJE), or for the parties as an expert determination. David Black is included in the panel of experts used by the presidential appointments scheme of the Institute of Chartered Accountants of England & Wales (ICAEW) and has valued many types of business when giving an expert determination. He has also been an SJE or an advisor in many valuations for divorce, probate and contract dispute purposes and has been in Court on a number of occasions. Property and specialist asset valuations. Contact us today or telephone on 0121 _647 5030 to find out how we can tailor a package to compliment your business or personal activities at a price that is guaranteed to be competitive. Although based in Birmingham, West Midlands, our Valuation Forensic Accounting services are used by clients throughout the whole of the UK and beyond. Don’t forget to subscribe to our Newsletter for all the latest updates and please feel free to interact with us via our Social Media sites and Blog.